Google Wifi won’t even boot up unless it can verify that it’s using official Google Wifi software. We call this “Verified boot,” and it means Google Wifi is extremely difficult to attack or compromise. In addition, if you want to change any settings on Google Wifi, you have to use the Google Wifi mobile app which uses the same world-class cloud-based security as other Google services like Gmail. This system ensures that no changes are made to your network unless they come from the authenticated app. In the past year, there have been widespread cases of botnets—similar to viruses on computers—being detected in cameras, routers and other devices. These botnets can steal your private data information or even take down large portions of the internet by flooding servers with tons of data. In the past, to protect yourself against this malicious software, you’d have to somehow discover that there was a vulnerability in your router, then worry about when and where to get updated software to protect against it. 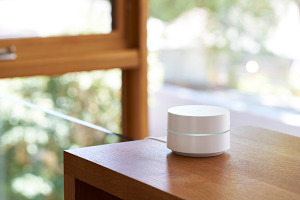 Luckily, Google Wifi continually works to protect you against threats, including botnets, with automatic, behind-the-scene security updates, so you’re always one step ahead of vulnerabilities. These software updates are seamless and pushed from the cloud to your home. It’s so simple, you probably don’t even know it’s happening. 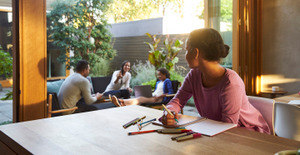 Google Wifi provides fast, reliable Wi-Fi to every corner of your home using mesh technology, a system where multiple Wifi points work together to create a blanket of coverage. To establish control and security, the multiple Wifi points produce security keys—long and complex machine-generated passwords—that are shared between all the Wifi points in your network. These security keys establish encrypted communication between all points and devices on your network, and as an added security measure, these keys never leave your personal network. If there is an event that warrants changing of the mesh keys—for example, if you remove a Wifi point—the system will automatically renegotiate them. This ensures that your network only includes known and trusted Wifi points, and prevents your data from being sent across a compromised network that a hacker could access. 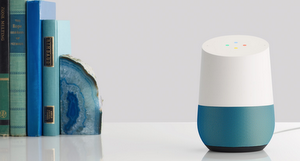 As security challenges continue to evolve, our team of dedicated engineers will keep working to improve the security of Google Wifi and your home network—so you can enjoy great Wi-Fi at home without worrying. Stay safe out there!